At the moment Margaritas are one of the most popular cocktails going, and when it comes to wine, everyone wants a glass of rosé. Well then, why not mix the two? Oh boy, what a good idea! 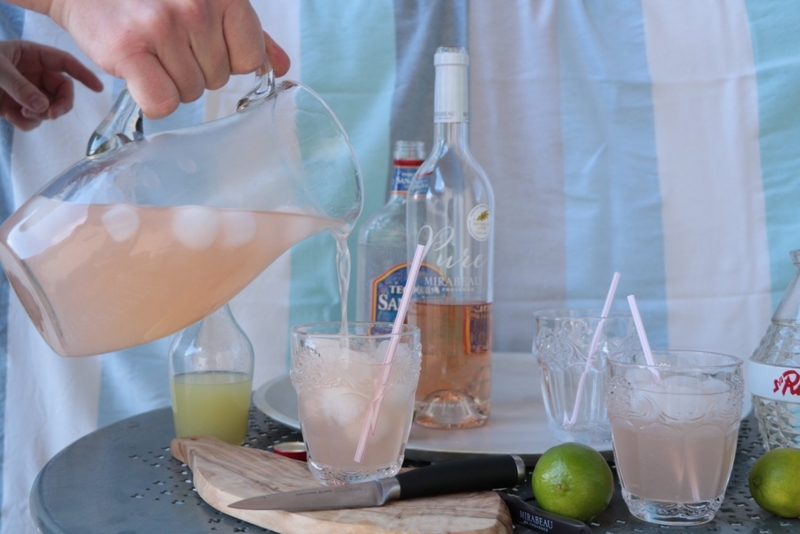 These delectable Rosé Margaritas are exactly what you need during your summer. Perfect for parties, BBQs or picnics (any excuse you can think of). 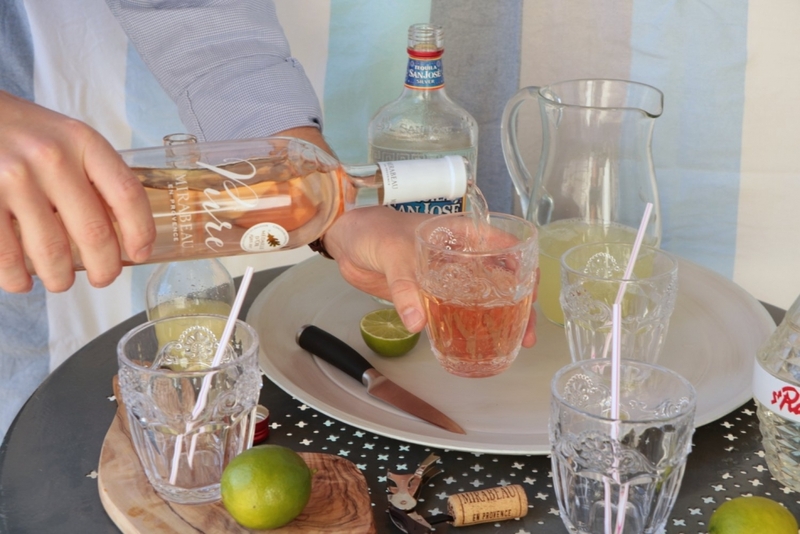 Mirabeau Pure rosé goes amazingly with the lime thanks to its citrus aromas. They look fantastic and taste even better! Your Rosé Margaritas can either be shaken or stirred, Mr Bond would prefer them shaken, but I would recommend making a big jug and stirring it up in there for easy sharing and practicality. First of all, make sure you’ve squeezed enough limes for the juice and find the rest of your ingredients. You can easily make some sugar syrup by filling a bottle half and half with caster sugar and hot water (not boiling). Shake it gently until the sugar has dissolved and the liquid is clear and there you have it; one bottle of sugar syrup. Next, find a nice large jug, big enough to contain all the ingredients, and a cup. 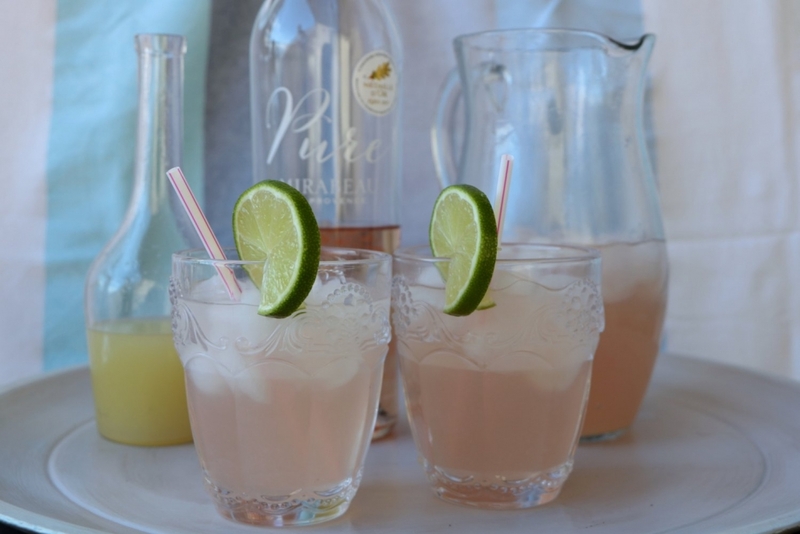 Using your cup measure out 1 part of each Tequila, lime juice and sugar syrup, and 4 parts of Mirabeau Pure rosé (or simply an entire bottle if using a 175ml glass) and pour into the jug. Fill up the remaining space with ice and stir well. Finally, cut some lime wheels and make a small incision from the centre and place them over the rim of the glass as a garnish and serve with a straw in tumblers. Pour yourself and your friends a glass and enjoy!